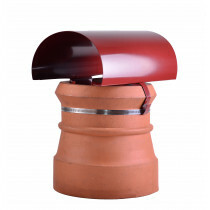 Our range of chimney cappers are used to cap off chimney pots when the chimney is unused, preventing rain, bird and pest entry, and help to minimise heat loss. Installing a chimney cap also prevents the pot from further damage and they are easy to fit. Chimney cappers (more commonly known as chimney caps or covers) come in a variety of shapes, styles, materials and finishes.